The Viceroy is a sophisticated luxury Caribbean resort located on the island of Anguilla. Set on 35 acres of lush gardens, with more than half a mile of pristine beach frontage, it is relaxed, yet refined. 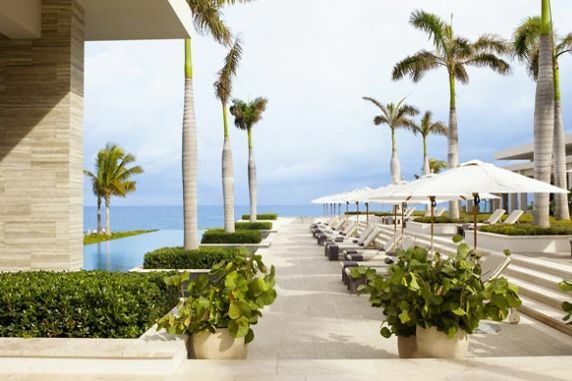 The 166 beautifully designed accommodations include a combination of beachfront suites, blufftop guestrooms and private oceanfront villas, all with private pools. 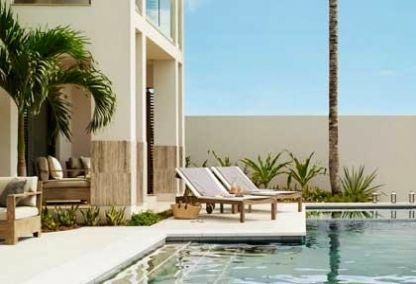 The Viceroy Villas ‘resort within a resort’ combines private luxury lodgings with ultra-luxury resort services. 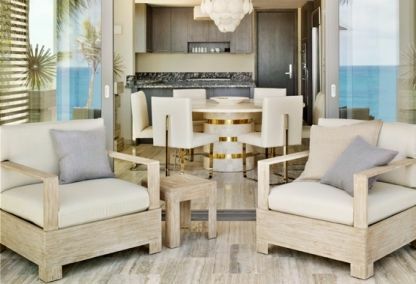 Throughout the resort modern architectural forms interplay with the natural environment, while contemporary interiors by designer Kelly Wearstler add rich textural contrast. The Viceroy has five restaurants and lounges, where locally caught seafood, fresh locally grown fruits and vegetables, specially imported provisions and international wines and spirits feature on the seasonally tailored gourmet and casual menus. Signature restaurant, Cobà, straddles the point between Barnes and Meads Bays, offering superb dining with exquisite views. A spectacular two-storey oceanfront spa featuring individual and couples’ treatment rooms completes the excellent facilities alongside a fitness centre, sunset pool, array of waters ports, programs for children and two white sand beaches. 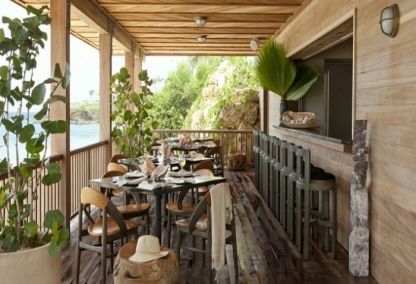 We like: The Rooftop Suites with their private plunge pools, day bed and spectacular ocean views. Best for: Couples & families. 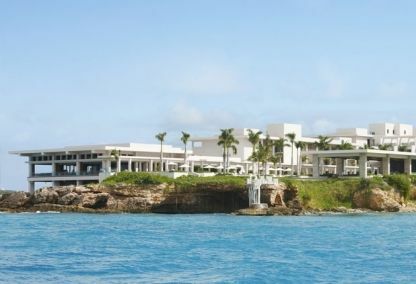 A cool, elegant and romantic resort, Cap Juluca is perhaps one of the most stylish hotels in the Caribbean. 97 spacious rooms and suites, housed within 18 Moorish-style beachfront villas, sit on a wide sweeping bay of fine talcum powder-like sand and sparkling sapphire sea.